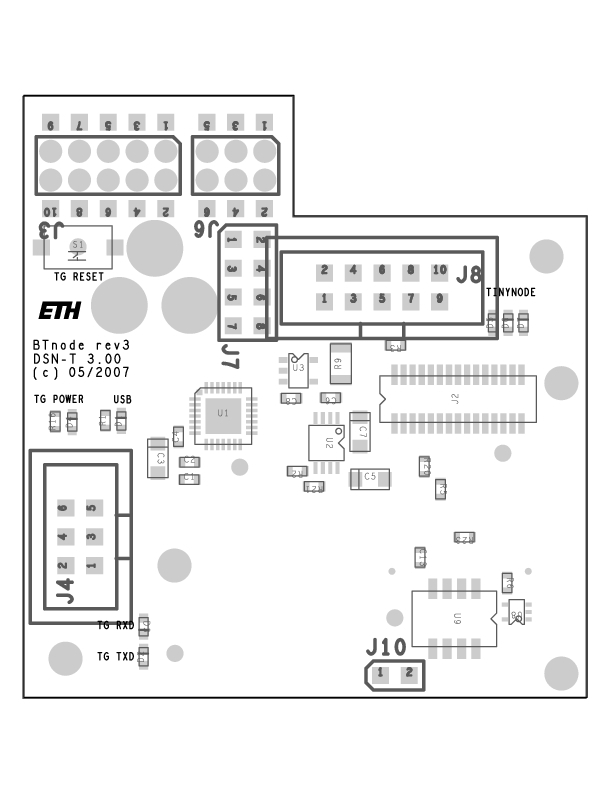 The dsnT is a variant of the usbprog that can be used with the JAWS Deployment Support Network application to connect Tmote Sky and TinyNode target nodes. 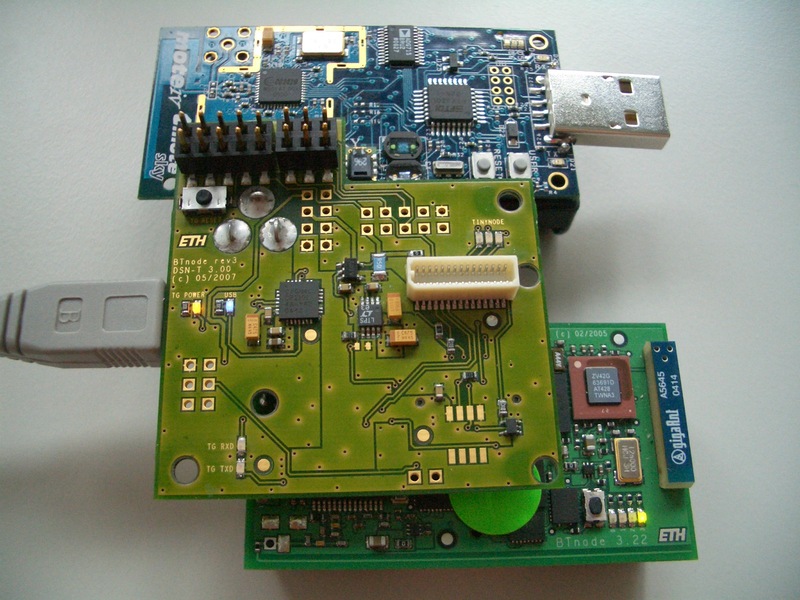 Perhaps other AVR or MSP devices can be attached. 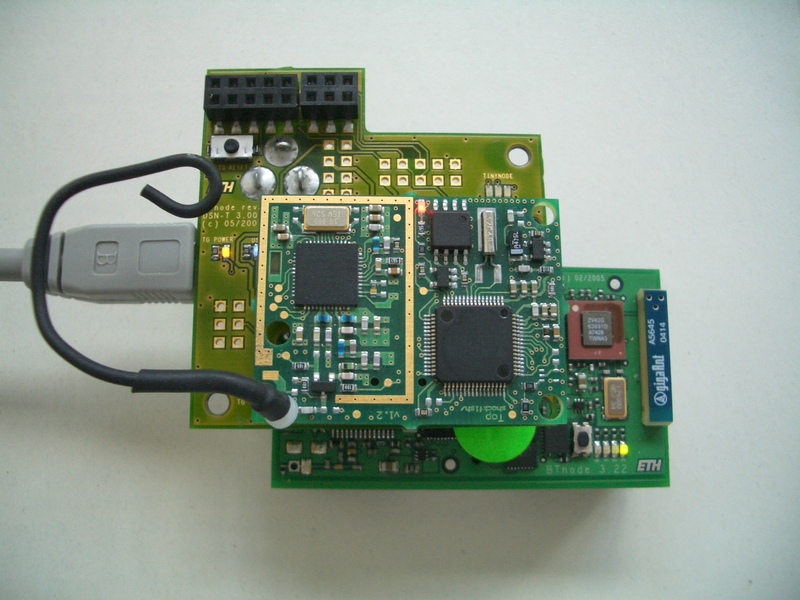 The dsnT rev3 board signals target communication traffic with LEDs and monitors the target voltage and current consumption.